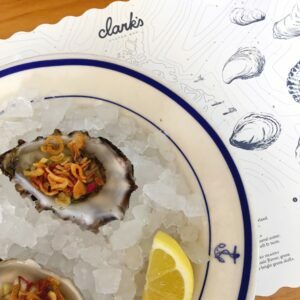 Fresh oysters, $5 martinis, a half-price Angus Beef burger, fresh sourdough bread (baked daily)…and a delightfully designed place to boot – Clark’s Oyster Bar is the place to be if you are visiting Austin or can break away from the office between 3-6pm for happy hour. 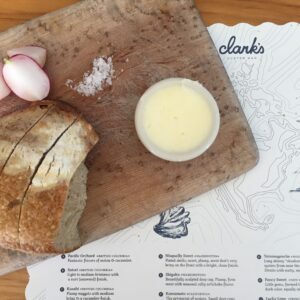 Located on 1200 W. 6th Street, Austin, TX 78703, Clark’s already had me with their yellow and white striped awning, pops of teal, mini hexagon tiles, the open kitchen…but when the fresh sourdough, butter, salt, and radish slices came out – talk about smitten. 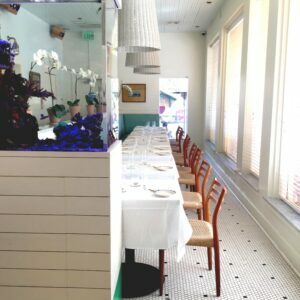 The oysters were fresh and amazing! 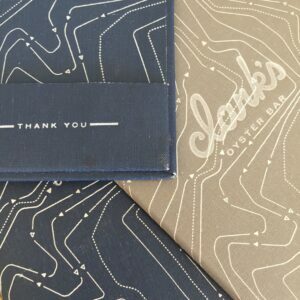 The best thing about Clark’s Oyster Bar…they make it really easy to enjoy the moment. 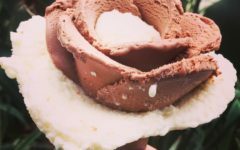 Of course they are open for dinner as well, sans the “happy hour” pricing. 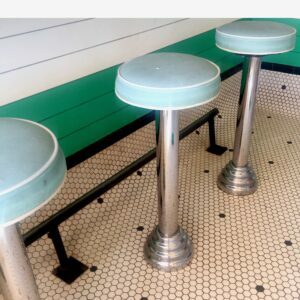 It’s a tiny place though, reservations are recommended. Parking: There are a handful of spots right in front. If you can’t snag a spot, then there is parking in the surrounding neighborhood and there typical paid parking.